Department store chain Saks Fifth Avenue is adding more than 1,200 fitness classes to the available in-store amenities at its New York flagship as wellness takes hold of luxury retail. 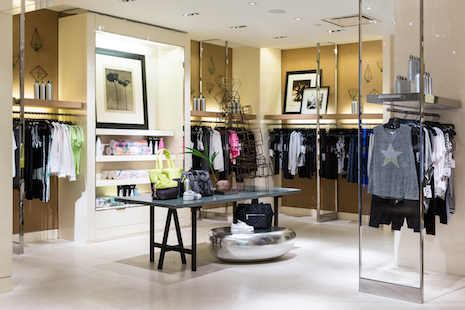 Located on the flagship’s second floor, The Wellery concept shop is a first-of-its-kind space that offers Saks consumers immersive experiences dedicated to wellness. Millennial consumers, a segment retailers have struggled to capture, are deeply invested in self care resulting in a number of recent launches geared toward health and wellness. "In one of our studies on the subject we found that, overwhelmingly, millennials would rather be healthy, 73 percent, than wealthy, 27 percent," said Rachel Saunders, strategy and insights director at Cassandra, New York. "In the same way that Gen X pursued luxury status symbols, millennials are pursing wellbeing and personal transformation. "They are willing to pay premiums for items that were deemed nonessential in the past—organic food and drinks, boutique fitness classes, high-end athleisure attire—because they feel it helps them become better versions of themselves," she said. "Such purchases are admittedly aspirational, but they are also easy to justify since buying these things incentivizes them to lead a healthy lifestyle. "For example, a 25-year-old woman in a focus group told us, 'I’ll rationalize buying $90 yoga pants because they motivate me to be healthy. I am more likely to work out if I look good doing it.'" Ms. Saunders is not affiliated with Saks, but agreed to comment as an industry expert. Saks was reached for comment. The immersive experiences and offerings at The Wellery will assist Saks’ consumers in living a healthier and more balanced life. 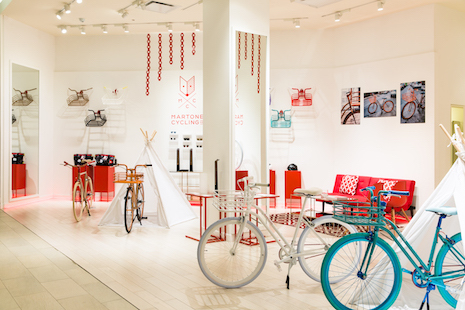 Today’s consumer increasingly places emphasis on experience instead of material goods, which has complicated traditional retailers' position in today’s retail landscape, but through experiential efforts brands may be able to capture waning attention. According to Saks, The Wellery will offer the finest products, classes and wellness services under one roof. "Sweating in a store is not for everyone, but the mere fact that a class takes place in a Saks will not deter the type of consumer that the brand is trying to attract," Cassandra's Ms. Saunders said. "Bandier, Athleta, Nike and Selfridges (see story) have all offered in-store fitness classes, and it has been great for them from a marketing standpoint." Organized to include 22 individual spaces, The Wellery will introduce consumers to sought-after fitness classes and equipment, activewear and athleisure for men and women as well as an edit of skincare products and treatments. Brands offered include Phat Buddha, Beyond Yoga, Blink Brow Bar and Glow Recipe, among others. To assist consumers in navigating The Wellery, Saks will have concierge on-hand to direct visitors and help with determining the best products, classes or treatments for an individual’s needs. The Welley includes The Saks Studio space where a rotating schedule of pop-up fitness classes and events will be held. Saks has invited a number of New York’s most-exciting gyms and fitness programs to participate in the wellness concept shop. As of May 13, Saks consumers can take MNDFL meditation classes or learn to move with strength and grace through daily activities with guidance from modelFIT teachers. Aside from classes, visitors to The Wellery can attend reiki healing and meditation sessions or receive a massage. Saks has also recently opened Breathe Salt Rooms, a dry salt therapy that helps to rejuvenate and heal a person’s body. To kill two birds with one stone, consumers can also visit the Sundays nail studio, a service specializing in manicures and meditation. For consumers looking to bring The Wellery concept home, Saks has set up a home gym equipment showroom where Technogym, Peloton and Martone Cycling Co. will display their machines. Saks’ The Wellery will be open through October. “Saks has a long history of creating breakthrough, experiential environments in our stores—in 1935, an indoor ski slope was constructed in the flagship store in order to offer skiing lessons,” said Tracy Margolies, chief merchant at Saks Fifth Avenue, in a statement. “The Saks Wellery, our latest concept shop, focused entirely on wellness, continues the Saks tradition of elevating shopping to a higher level by building exciting customer experiences,” she said. "We want the Saks Wellery to be a sanctuary for our customers—a place to find peace and solace in the middle of our bustling city." Among affluents earning at least $150,000 a year, millennials are more apt to associate health with eating habits and exercising when compared to baby boomers and Gen X-ers (see story). British department store Harrods was an early adopter of mindful luxury and wellness strategies. Each January since 2015, Harrods has assisted its consumers in keeping their New Year’s resolutions through a series of beauty and health programs. To assist consumers in upping their fitness routines during its inaugural effort Harrods planned for a different sportswear brand to host a fitness class on the fifth floor, which will be followed by demonstrations. During the classes, fitness experts were on hand to offer tips and advice to consumers looking to shape up in the new year (see story). "Whether or not consumers actually take the classes, retailers such as Saks that launch healthy offerings can benefit from the halo effect of being associated with wellness," Cassandra's Ms. Saunders said. "What’s more, young people do not regard bricks-and-mortar stores as merely places to browse and buy. "Increasingly, they are looking for physical retail environments to serve other purposes," she said. "Samsung 837 in New York, the TOMs store in Venice, CA and Cadillac House in New York are great examples of other brands who are rethinking retail space."